Look at those cute bat ears! Meet Patrick, the most polite dog you will ever meet! OK so "Polite" is an odd way to talk about a dog but if you lived with Kodee and Becky - well, you'd get where I am coming from! My girls are a tad errr.... spoiled perhaps, thereby a smidgen um... demanding! No one to blame here except me! I come with experience; I made this same mistake with my daughters - right girls?! What can I say, I'm easily manipulated by cute faces. 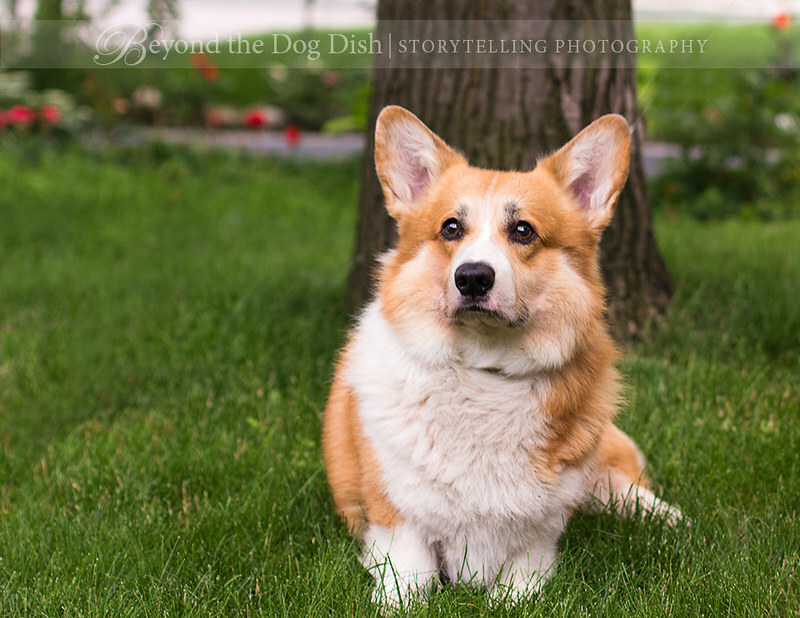 Patrick is a 5 year old Pembroke Corgi. He has been staying with my daughter for the last few weeks. For the last few months she has been dog sitting for friends. Not only does this help them out, but it also helps her. She is testing the waters to see how a dog would fit into her daily life at this time - a good reality test. Having a dog obsessive Mother who rattles on not just about "Responsible Breeders" but also about "Responsible Dog Ownership" must have sunk in a little I am thinking. Who knew - she does hear a bit of what I say after all! 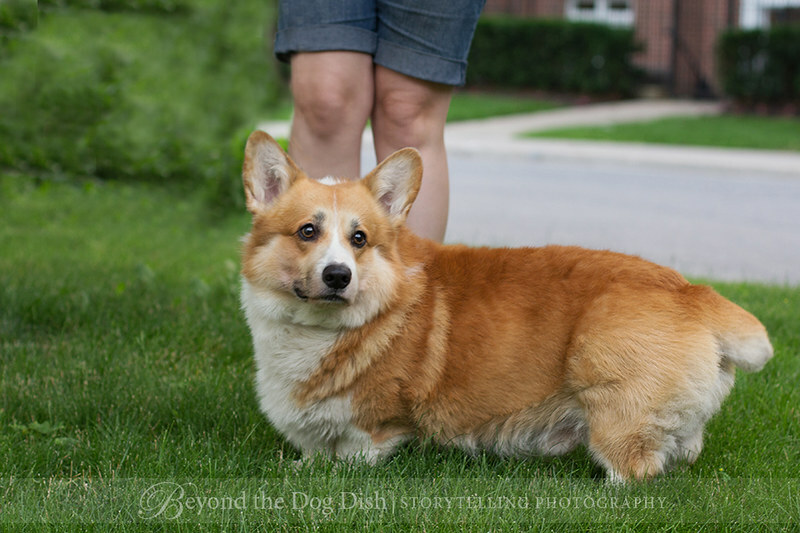 Patrick is a Red and White Corgi but you can also get a Sable (red and white with a bit of black ticking) or a Tri colour (black, white and red). I keep reading they are a "big dog in a small package" and having owned labs can see that. They are very laid back and confident yet still small enough to want to crawl right up beside you for a cuddle. Oh and as for my daughter - do I think she will be getting a dog soon? Oh ya... and it might just look like "THIS"
Patrick is a sweetie, so cute! Great photos. Great portraits of Patrick. What a cutie! Beautiful photographs! So crystal clear and sharp! wow ! what a beautiful photos ! 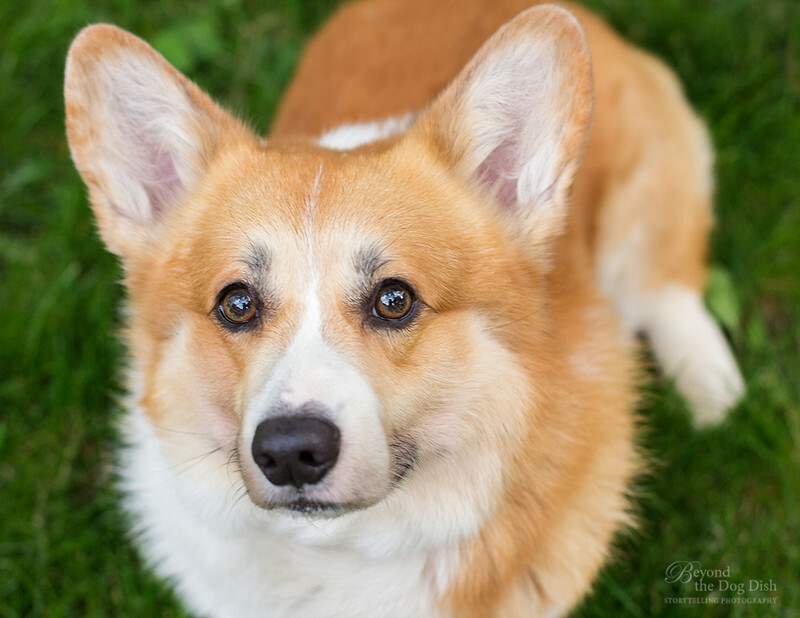 Corgis are such sweet looking dogs!